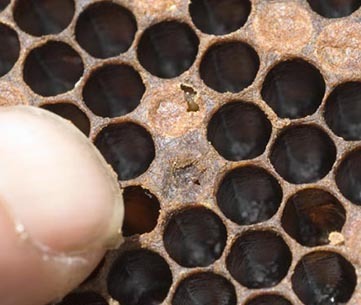 Biosecurity SA is reminding beekeepers to be on the lookout for American foulbrood (AFB), found in hives pollinating lucerne in the Tintinara area. Biosecurity SA’s new Bee Biosecurity Officer Teagan Alexander is working closely with apiarists in the region to ensure no further spread of the disease. 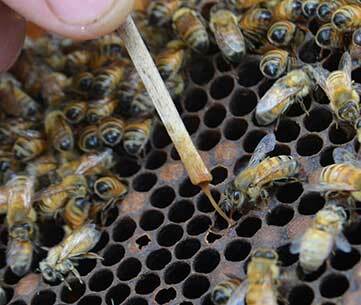 Beekeepers and growers seeking further information on AFB or other honey bee diseases and control methods can contact the Apiary Unit on 0408 812 698 or 0439 864 382. A notifiable disease, AFB is a bacterial disease that kills honey bee brood that weakens and eventually kills affected hives. The disease is spread via contaminated honey bees, honey bee products, and equipment, potentially not only within an affected beekeepers apiary, but also to surrounding disease-free apiaries belonging to other beekeepers. brood remains that are ropey, or dried scales adhering to cell base. More images of symptoms are available from the American foulbrood page on this site. Management options for AFB eradication include the removal and sterilisation of infected honey bees, honey and hive equipment. Further information on American foulbrood is available from the PIRSA website. “Maintaining an effective honey bee biosecurity program is crucial not only for the honey bee industry but also for the various agricultural and horticultural sectors dependent on honey bee pollination. “Given the high densities of hives required to pollinate lucerne, further spread could have a devastating impact on the industry. It is why we are ensuring this outbreak is dealt with as quickly and effectively as possible. “Controlling AFB is of benefit to all lucerne seed growers. 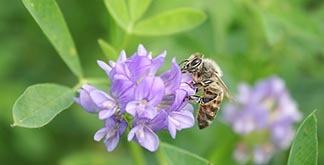 Diseased or weak hives cannot pollinate effectively, while the presence of the disease will also deter most professional pollinators.